The month of September was difficult for student attendance at John Greer. There's no question but that the hot weather is part of the cause. John Greer's attendance percentage for September was 94.8% which is the lowest September attendance rate for John Greer since we started tracking our percentage in 2012. With the hottest weather behind us and a beautiful fall month before us, let's work hard to make John Greer's October attendance the best it's been since 2012. 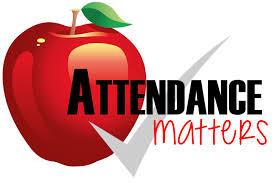 We have 120 students who have had perfect attendance since the beginning of the year! These students are working toward a water balloon event with teachers at the end of the year!